Have the presence of your missionary at any time and in any place. 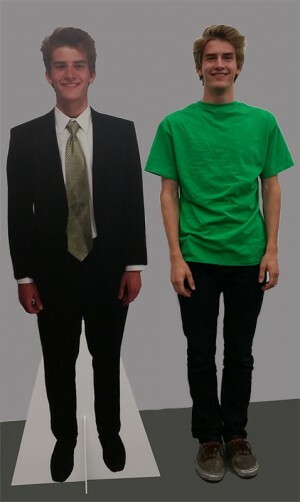 Our LifeSize Missionaries are printed and cut life size, and are ready to stand in family photos, be at weddings, or just be placed around the house. Either way, you're sure to enjoy these reminders of your loved one!